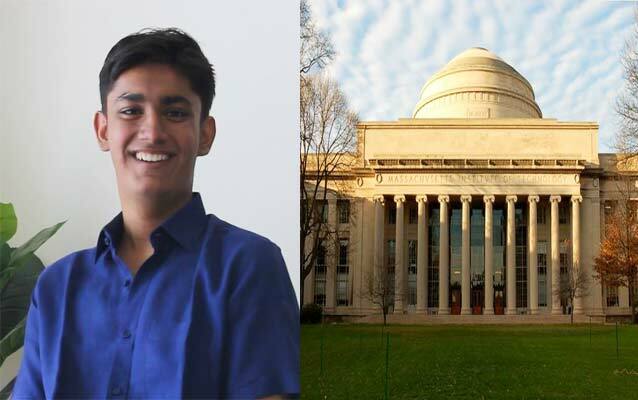 JEE Advanced 2014 topper, Chitraang Murdia is all set to quit his B.Tech programme at IIT Bombay and pursue Physics at MIT( Massachusetts Institute of Technology), US. According to Murdia, computer science interests him but his passion lies in physics and pure sciences. Leaving one of India’s best engineering institutes was not a cake walk for him and sharing his thoughts on the same, he said,“ I was in a dilemma for the last 5-6 months about whether to leave or not to leave the institute. Then I spoke to a lot of people about the same and decided on applying for MIT”. One of the reasons behind his decision of quitting IIT B and joining MIT was the lack of required research atmosphere for pure sciences at the UG level at IIT Bombay or for that matter other engineering institutes in India. In a candid chat with shiksha.com, Murdia speaks about his decision of quitting IIT B, his future plans, MIT admission process and more. Read the complete interview below. Q. How was your experience at IIT Bombay? A. The experience was good. But, mostly the problem was that IIT in general was not aligned to my long term goals. I want to get into research and probably into theoretical physics and pure sciences. IIT is mostly technical and the research atmosphere specially for pure sciences at the UG level is not that good. Here, in engineering, it’s more of applications. Q. When and why did you decide to leave? I was in a dilemma for the last 5-6 months about whether to leave or not to leave the institute. Then I spoke to a lot of people about the same. And then I got to know that I can always apply for a transfer. So, I applied for a transfer to MIT and I got selected. Q. How did you go about your admission at MIT? The whole process is quite routine and standard. I would like to make one thing very clear that I haven’t applied as a fresh candidate but have got a transfer. So, the one year that I have spent at IIT Bombay will not be wasted. Q. Can you differentiate between the application process of IIT Bombay and MIT? US college admission process is comparatively more subjective to IITs. In India, you just write the JEE paper and your score is everything that counts. But, in USA, this is not the case. There you have to write a lot of essays, then you have your SAT score and CV. So, it’s quite subjective. The Indian admission process is very objective. Here, the marks you get is directly proportional to how good the course you would be able to join. Your rank is the most important thing. But in US, your rank or score is not everything. What’s crucial there is your score along with what you are. And this determined through the essays and the CV that you provide. In the CV, you need to mention all that you have done in your life, what you want to do, work experience, your favorite books, your favorite authors etc. Though not rigorous, but they do a psycho analysis on you. They want to analyze your whole personality unlike here in India. In India, the problem is that you have so many candidates for just one exam. And maybe this is the reason the current system works here, But, if you have fewer number of aspirants, it’s better to judge them on more parameters like their personality and other factors rather just on the marks they acquire in the exam. Q. So, what are your plans now? At MIT, relatively, the system is more flexible in terms of what you want to do. You can always opt to do multiple majors in contrast to IIT Bombay which just allows you to do only one major. So, Physics is one potential major I am applying for. I may apply for more majors. People say that Mathematics is one major you need to do along with Physics, as it requires a lot of application. So, generally need to do a Maths major. You can also do other majors as well. So, I am not really sure of the second major I would be opting for. You know, a lot of things you decide when you are there. You don’t really need to decide things from now onwards. Q. Have you given a thought about what would you do once you graduate from MIT? Probably, I want to get into academic research. And for that I would have to do my Masters, PhD, Post Doc etc. And then get into academic research into some university. Q. Do you have any plans to come back to India or settle abroad? I have not decided about that and I think I will take around 6-7 more years to take a decision regarding this as only then would I be completing my education. Q. How did your parents react to this? They are slightly sad about the fact that I would be going so far away. And that’s one natural reaction I expected out of them. However, they were really happy and supportive that I am getting to do what I wanted to do. That’s more important for me. Prof. Vijay Singh has been one of my inspirations. He was the national coordinator for the Olympiads that I participated in Mumbai. He retired this year but I am in touch with him. He was the one who helped and guided me with the entire process. Q. Tell us about the Aditya Birla Scholarship that you recently qualified for? The Aditya Birla group gives scholarships to top students from IITs, IIMs and Law schools as well. Top 20 students from these institutes are invited. They need to fill in nominations, forms and write an essay. Basis this essay, around 90 people are selected in total. Then we are called for interviews. And after, another batch of people are selected. Luckily, I got through and got the scholarship as well. Q. What do you have to say about the Joint Seat Allocation Process for IITs, NITs, IIITs etc introduced recently? I believe that if this new system works out its going to be better than the previous system because earlier, you had to fill a lot of forms at different colleges and had to follow various processes. See, making things common is always better. It’s easier for the students too. They will get done with the entire process at once. Infact, this new process will be a boon for people from rural areas who did not have internet access and had to travel to places to complete the process twice or even more.